This instrument conforms to the standards GB/T511. It is suitable for the determination of all kinds of light oil, heavy oil, lubricating oil and additives in petroleum products. 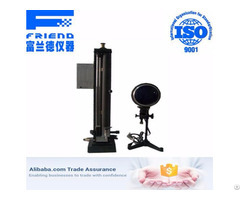 1, the instrument adopts the pre heating, testing and integration of structural design, reasonable structure, beautiful appearance, reliable quality. 2, the circuit uses the temperature control table to control the electric heating board temperature, the heating plate temperature is constant temperature and controllable, in order to meet the needs of the test. 3, the instrument uses a solid state voltage regulator to adjust the input voltage, so as to control the size of the heating power, to achieve the purpose of heating insulation funnel. 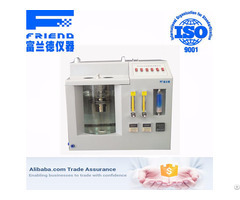 4, the filter device is connected with the suction filter by the vacuum pump, it can measure the sample which is difficult to filter. 1 Power supply: AC 220V ± 10%, 50Hz. 2, water bath heating power: 1000W. 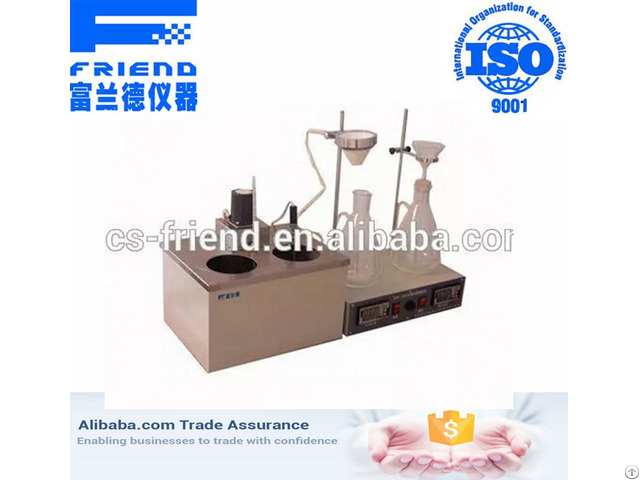 3, the water bath temperature range: room temperature ~90 ℃ adjustable. 4, the water bath temperature display: LED digital display. 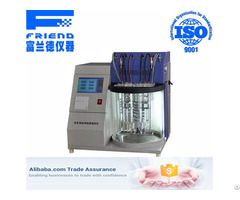 5, water bath temperature control accuracy: ± 1 ℃. 6, the funnel temperature range: room temperature ~90 ℃ adjustable. 7, the funnel temperature display: LED digital display. 8, the funnel temperature control accuracy: ± 2 ℃. Water bath box: 90 (L) × 290 (W) × 370 (H). 10, Ambient temperature: ≤35 ℃. 12. Total power consumption: less than 1200W.